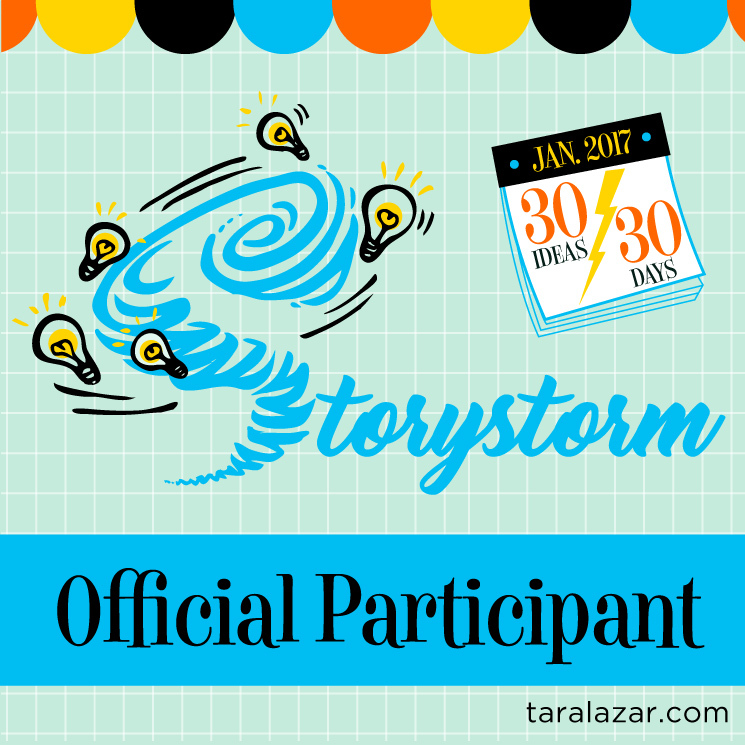 Summer Reading Finale and Small Moments In Time! This past week we attended the library's Summer Reading Finale where Emily enjoyed spending time with her friend. There were centers set up with activities for the kids like hula hooping and craft making, and there was free ice cream. Now I ask you, who doesn't love free ice cream? Bobby took Friday off this week so we had a cook out Friday evening and invited my mom and sister over before we all headed out for our Friday night fun__Summer Bowling. After, we stopped at a little ice cream shop for our second day of yummy ice cream. We also participated in our usual Saturday morning farm market where one of my vendors had some vegetables that were so beautiful; I just had to capture the images permanently. And while I was managing, selling, and socializing, the children took advantage of the bubbles I brought. And lastly, we spent Saturday evening at some friends house celebrating a birthday with a feast and a bonfire. Some very adorable tiny kittens were involved as well, but none of them managed to sneak into our car for the ride home. Thinking about all the little things that constitute our week, I realized how important all the seemingly small events are. I realized that these ordinary everyday occurrences are what bind us together as a family. They are what help us to create the memories that sustain us throughout our life times. 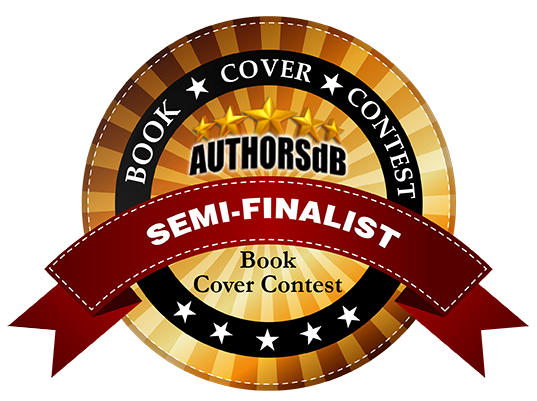 The two books I chose happened to be about parents and children and the beautiful bonds we create. 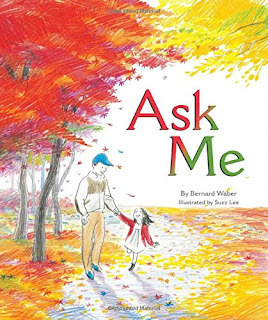 The first book was about a father and daughter and was called Ask Me. The father and the daughter in this story take a walk and along the way the daughter keeps asking her father to ask her what she likes. She then regales him with all the things she enjoys like lightning bugs and ice cream cones. It is simply written and quite a beautiful story that children and adults will more then likely enjoy together. The second book I read was called Where's Mommy? It was the story of two girls, one human and one a mouse. The two girls are friends but they don't tell their family members because they fear that their families will not understand. 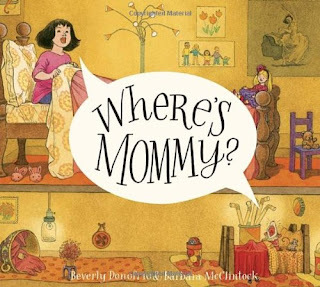 One night, as each girl gets ready for bed, she comes to the realization that her mother is not there to tuck her in. Her mother is missing. 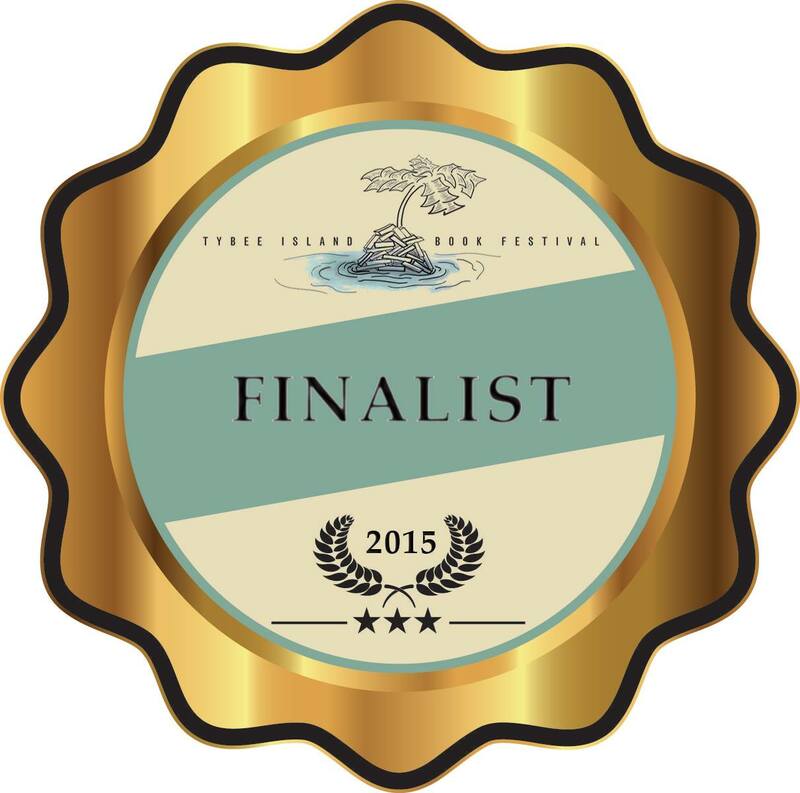 Each girl searches for her mother and in the end, they each find a delightful surprise. This past week at my house turned out to be super busy. Emily had Bible School, and since the theme was western, we had to get her a cowgirl hat. She also had an overnight with a friend. I had a book event at the Findlay-Hancock Public Library where I met fellow Tater Tot (A Tate Publishing Children's Author) Tom Waggoner and visited with a long time friend and supporter. And then there was grocery shopping and all the baking for farm market. I was extra managerial on Saturday as there was a special chef event at the market. There was also a visit to my mother-in-law's house to see her and my husband's aunt who was up from Kentucky. And finally a rain free day that allowed us to go swimming. Yes, it was an extremely busy week, but quite rewarding. 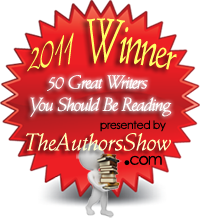 My reading choices were quite rewarding as well. 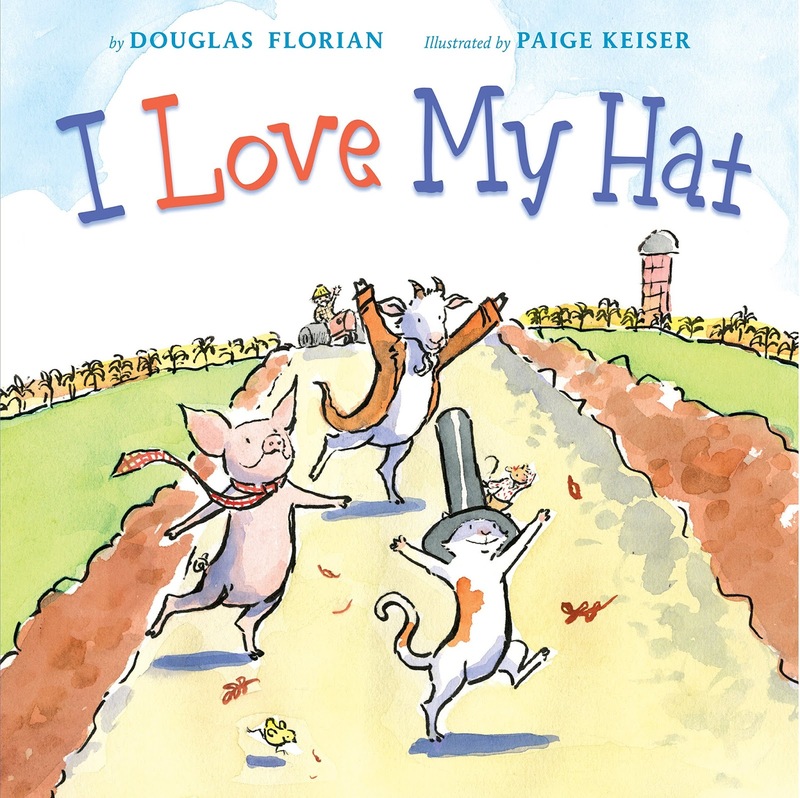 I managed to find a book called I Love My Hat. I really don't purposely go searching for books that somehow connect to something that has occurred in my week; it just seems to happen naturally. 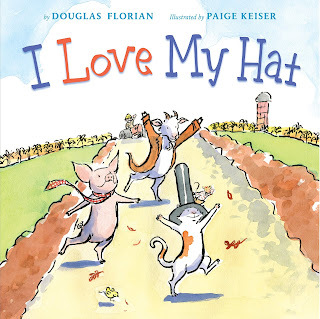 So you can imagine how tickled I was to read an adorable story of Farmer Brown, his well dressed singing animals, and his trip to town to get new clothes. The repetition of the lyrical songs that the animals sing will be sure to keep your five to eight year olds interested to the end. 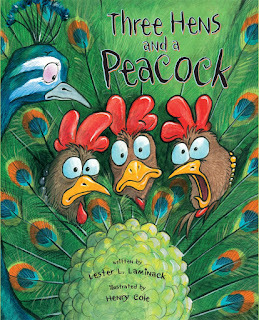 Next I read a fun book called Three Hens and a Peacock. Another farm themed book, Three Hens and a Peacock tells the story of the Tucker Farm. The Tuckers sometimes sold a few tomatoes, corn, or the occasional quart of milk, that is until Peacock showed up. Peacock would stand by the road strutting, fanning his beautiful feathers, and squawking at passers by until they stopped. Soon the Tuckers were selling everything including eggs. The chickens complain about the Peacock, calling him vain and useless until the dog suggests they trade places. Needless to say, everyone learns that they need to stick with what they personally do best. 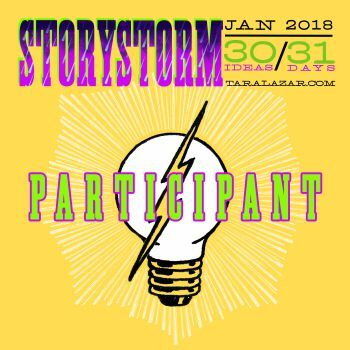 Normally I have my Monday blog done by Sunday evening, but this week I was a little behind and just finished it this morning. One of the reasons was that I had a book event at the Loganberry Books in Shaker Heights this past week. Loganberry is a incredible book store in a historical building full of architectural charm. In the alley like space between Loganberry and the store next door is where they set the authors up. Further adding to all the interesting features is the wall on their side which has a large mural of book spines. On the way to the store, construction caused me to go a little out of my way, but thanks to my handy GPS, I was able to determine an alternate route to my destination. I am so incredibly thankful for this technology! 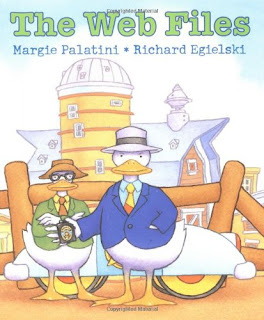 For this week's review, I read a book called, The Web Files, about two duck detectives that had to solve a mystery the old fashioned way without any new fangled technology like I used. It is a hilarious book full of alliteration and old nursery rhyme characters. And for the adults who are old enough to remember, the parody of a show called Dragnet will cause you to enjoy this book, possibly even more then your children! So if you have a chance, I recommend you search out this book. 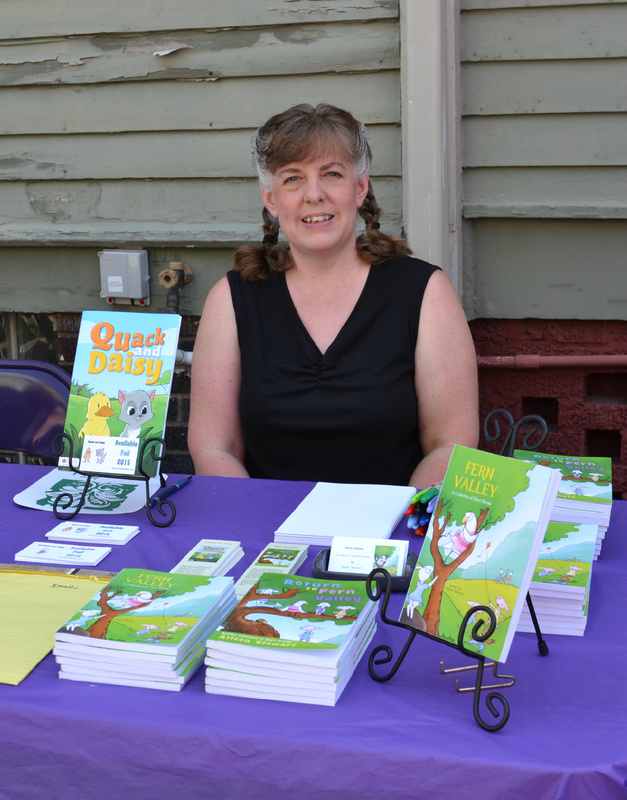 And if you are ever in the area, be sure to stop by and visit Loganberry Books also. I'm not sure if I've mentioned this before, but this year I took over as the manager of our local farm market. It is a volunteer position, and even though I don't get paid, I derive great pleasure from the job. I love being a part of my community, I love setting up a table and offering my baked goods, and I'd like to think that by coordinating this event I help others enjoy being a part of our community as well. When the market started, I invited a local resident to join us and play her dulcimer. Saturday was one of the days she honored us with her presence, and she even brought a friend and fellow dulcimer player. Her husband is also pretty amazing; he makes clacker dolls. Now for those of you who aren't familiar with clacker dolls, they are wooden jointed dolls like marionettes that you clack on top of a wooden board. The snapping of the board makes the dolls look like they are dancing. Emily and her friend Katie demonstrated the dolls dancing skills for the customers and had a great time doing so. Normally, I try to read books that somehow tie into what I have done in the past week, but this time, the only real connection between what I did and what I read was the fact that it was all simply fun. So what did I read, you ask? Well, I happened to read two books, each about dogs. The first was called Sherman Crunchley by Laura Numeroff. 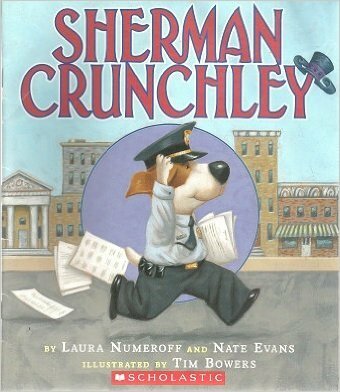 Sherman was in line to be the next chief of police when his father retired, but Sherman didn't really like being a policeman. Sherman's true love was creating great hats to wear, but he had a dilemma. Sherman could not say no. 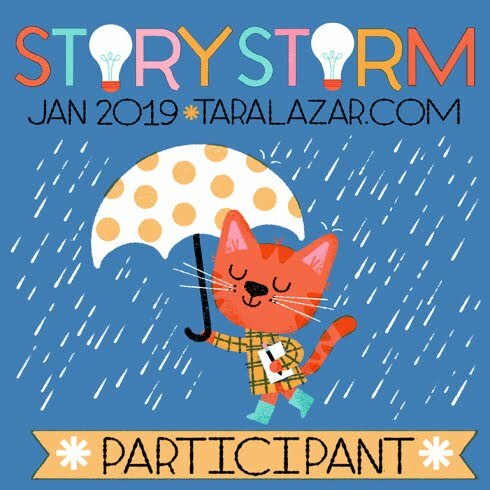 The story leads the reader on a fun journey as Sherman tries to find a way to say no to his father. The second book I read was Smick by Doreen Cronin the author of Click, Clack, Moo. 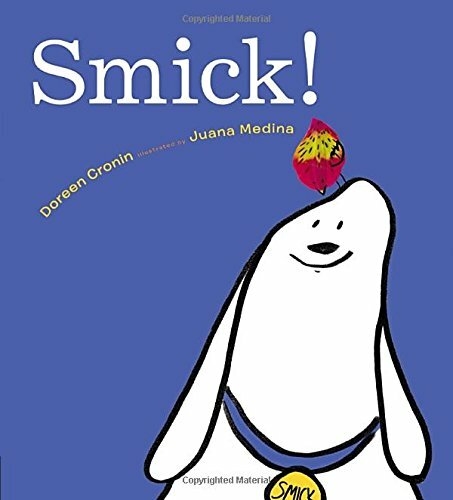 It is a very simple book for the very young that introduces them to Smick the dog. This book uses very few words to convey its message and the repetition will have the wee ones enjoying every page. It reminded me a lot of Emily's and My favorite beginner books in the Biscuit series.